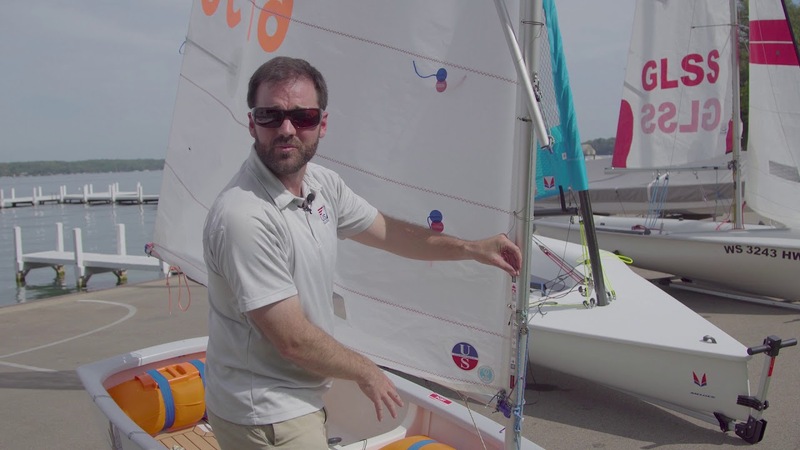 This is the first episode in a new video series that teaches you how to use a Harken Blockheads Tuning Decal to create repeatable settings for your dinghy. 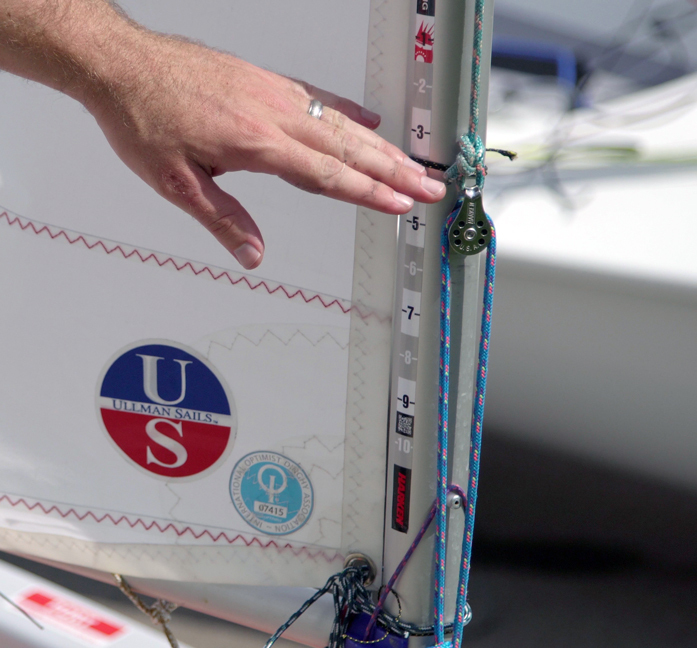 In this episode, John Pearce, US Sailing Youth Director, applies the tuning decal to an Opti to create a measurement system for raising and lowering the sprit halyard. 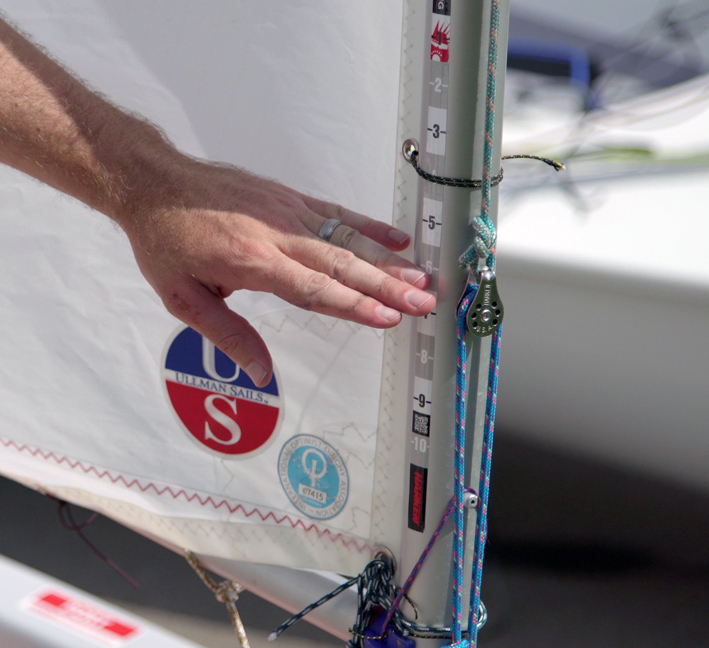 Place the tuning decal on the mast so that it sits in the middle of the range that the block will move. 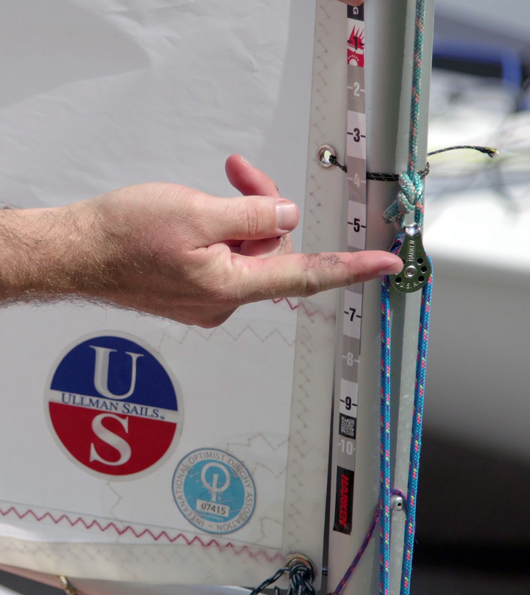 In this example, when eased, the top of the knot sits right around the 3 inch marker. In this example, when trimmed, the top of the knot sits right around the 5 inch marker.